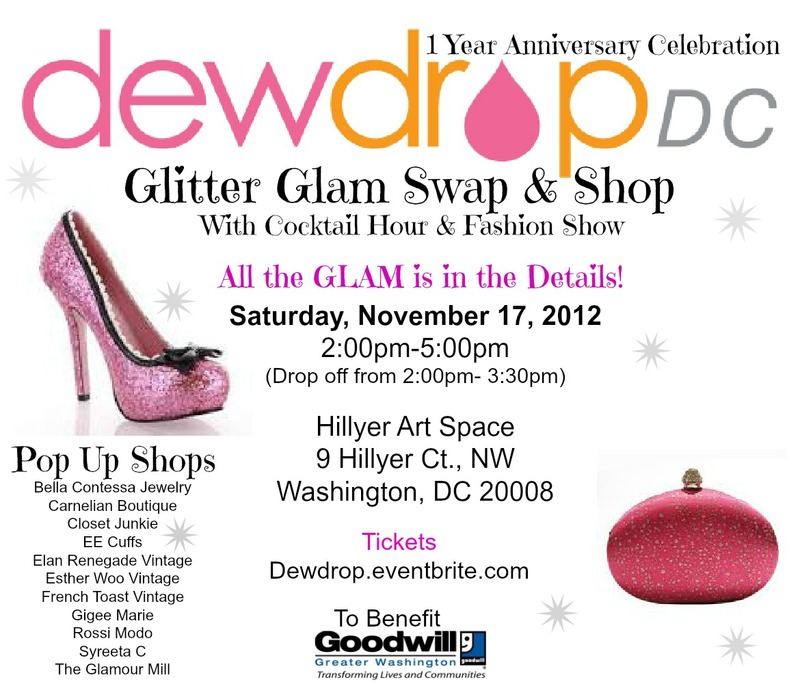 Upcoming Event: Celebrate DewDropDC’s 1 Year Anniversary with this Glitzy Glamorous Event! Celebrate our 1 Year Anniversary with this Glitzy Glamorous Event! Add a touch of sparkle to your wardrobe and swap with us! Shop around at our Pop Up Shops while enjoying a cocktail and some nibbles! We’ll have a blogger style challenge and fashion show! DC fashion bloggers will style and model the most glamorous winter trends and as a bonus, one will showcase a DIY glitter project! Look glamorous with a new wardrobe but also spread the joy of this holiday season to other women in need of clothing. The remaining clothing from the swap will be donated to Goodwill of Greater Washington. GET YOUR TICKETS TODAY and JOIN IN ON THE GLAM! We hope to see you soon, dressed in all that sparkle, glitter and glam (this is optional, of course)!